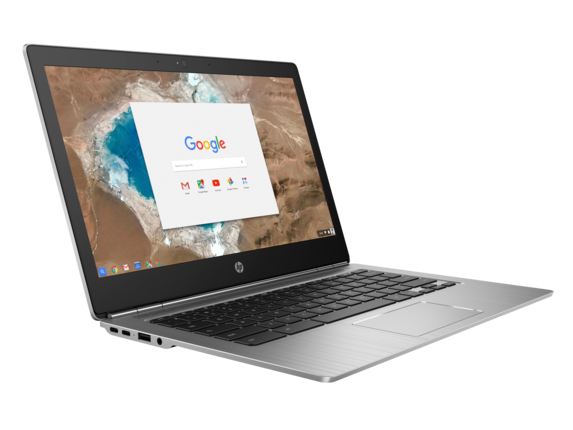 At 12.95mm/.51in, the amazingly thin and light HP Chromebook 13 provides professionals a simple, secure, and easily managed cloud-based experience. Built for collaboration, this agile performer has a host of accessories1 to help enhance productivity. 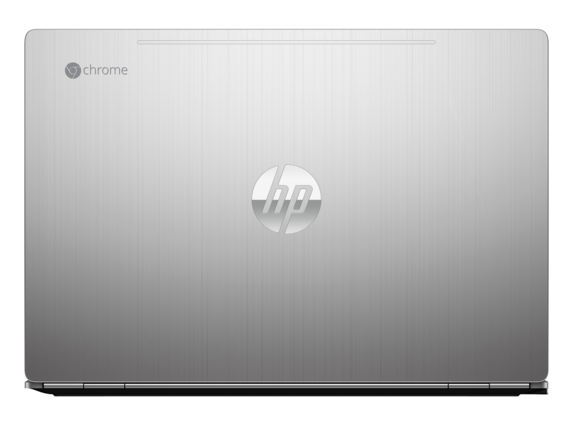 The HP Chromebook 13 is not your kids' Chromebook. With a brushed anodized aluminum chassis and a backlit keyboard, this beautifully designed Chromebook delivers a sophisticated look in the office or on the road. With the latest processors and category-leading audio and video, this Chromebook meets the demands of the modern cloud-enabled knowledge worker. 3200 X 1800 pixels provide razor-sharp text and photos and an engaging Google Hangouts experience. Delivers volume without compromising on clarity for a full, lifelike audio experience. With an illuminated keyboard, you can keep going even in dimly lit rooms or aboard red-eye flights. Share and transfer data from the latest and most advanced USB Connector. Connect up to two Full HD displays, charge your phone or tablet, access a wired network and connect other USB ready devices with an optional HP Elite USB-C Docking Station1 for the HP Chromebook 13. 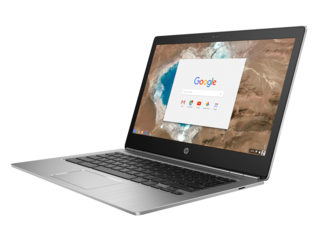 Not just another laptop, the HP Chromebook 13 sets you up securely for success with processor configuration options, Google Apps and a portfolio of productivity features. Your choice of 6th Generation Intel® series, including Intel® Core™ m5 processor3, deliver extraordinary performance and hours of battery life; while up to 16GB of memory1 lets you keep dozens of browser tabs open. Choose the HP Chromebook 13 G1 that suits your work style. 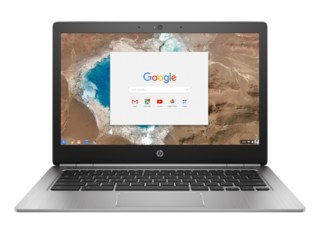 Pick from configurations that vary by processor, memory, storage and type of display to find the right HP Chromebook 13 to help you meet the demands of your work. 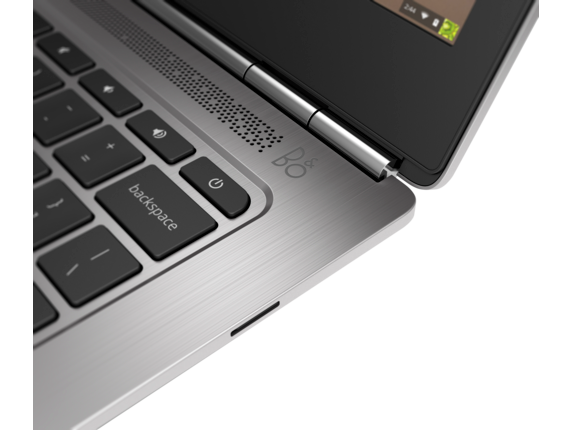 The HP Chromebook 13 is ready for use with Citrix® Receiver, VMware Connector®, and Workspace® Receiver. It's also compatible with Pulse® Secure, Cisco® AnyConnect, and SonicWALL® Mobile Connect1 VPN clients. Compatible with Chromebooks, plus PCs, phones, or tablets, Google Apps for Work provides a full productivity suite. Collaborate in real time and utilize cloud storage when connected to the Internet and utilize 32GB4 of on board storage anytime. Multi-core is designed to improve performance of certain software products. Not all customers or software will necessarily benefit from use of this technology. Performance will vary depending on your hardware and software configurations. Intel's numbering system in not a measurement of clock speed. 32GB of on board storage. All rights reserved. Google and the Google Logo are registered trademarks of Google Inc.
Citrix and XenDesktop are trademarks of Citrix Systems, Inc. and/or one more of its subsidiaries, and may be registered in the United States Patent and Trademark Office and in other countries. Microsoft and Windows are registered trademarks of the Microsoft group of companies. © 2015 HP Development Company, L.P. The information contained herein is subject to change without notice. The only warranties for HP products and services are set forth in the express warranty statements accompanying such products and services. Nothing herein should be construed as constituting an additional warranty. HP shall not be liable for technical or editorial errors or omissions contained herein. If you need a lightweight Chromebook that’s built for performance, the HP Chromebook 13 delivers. 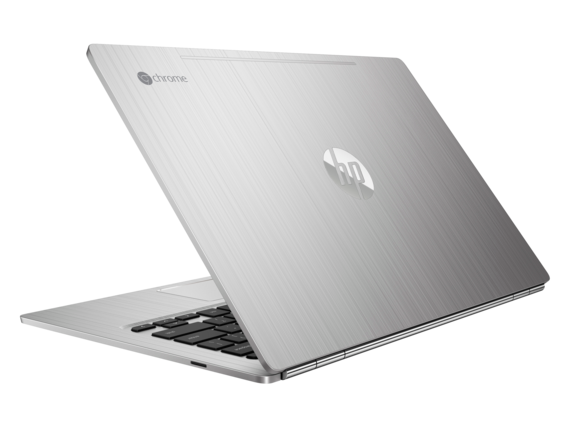 It provides a superior Chrome OS cloud-based experience in a sleek, stylishly designed all-metal brushed aluminum chassis. It’s lightweight with an amazingly thin profile, only 12.95 mm (.51 in) thick, making it an excellent choice for professionals on the go or around the office. It’s light enough to prop up on your lap while watching streaming video in bed. 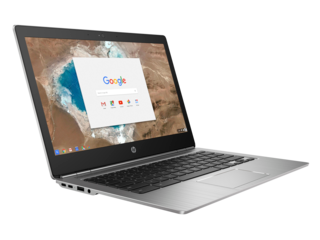 The feature-packed HP Chromebook 13 contains a host of accessories including an illuminated keyboard, lightning fast USB-CTM ports, amazingly powerful Intel Core m5 processor, category-leading audio and video, and long lasting battery that provides up to 11.5 hours of power. The high resolution 3200 X 1800 pixel QHD+ Display Panel provides a superior visual experience with 5.76 million pixels for vibrant color, razor sharp images and smooth text. The HP Chromebook 13 even allows you to connect up to two full sized HD displays. With the optional HP Elite USB-C Docking Station you can charge your smartphone or tablet device, access a wired network and connect other USB ready devices. The HP Chromebook 13 delivers availability, scalability, and maximum flexibility for an excellent price.